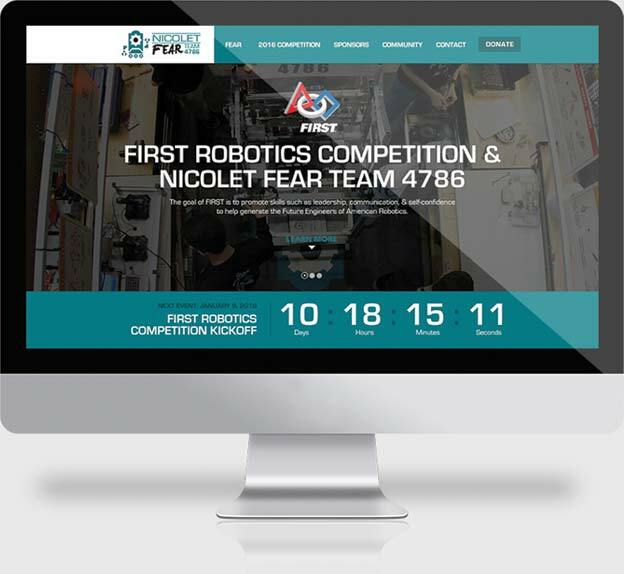 Nicolet High School's Future Engineers of American Robotics Team #4786 is a member of the FIRST program, which is a non profit organization designed to inspire young people in math, science and technology to help generate the Future of Engineers of American Robotics. 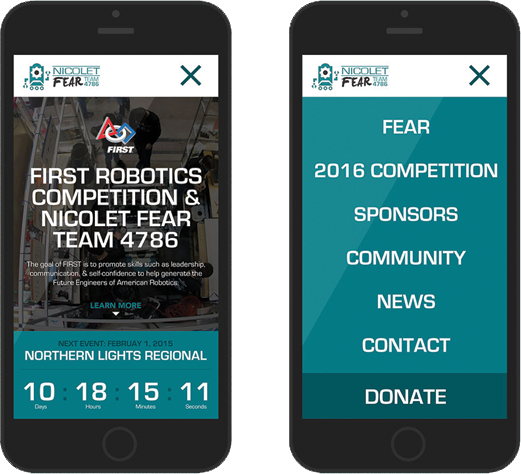 As the Nicolet FEAR team has grown to over 50 students and 15 mentors, so did there need for a functional web site, which now features a student driven social media & news feed, sponsorship information & a calendar useful for parents and students. Utilizing the student provided brand guidelines we also were able to create a relatively straightforward site with user friendly navigation, information & media sections all of which students have the ability to update through a CMS on the backend. "LET THERE BE NOTHING TO FEAR BUT F.E.A.R. ITSELF"